A network video storage device that automatically saves captured images. Storage device that stores images for a long time on TB-class hard disk. Maximum 4TB SATA HDD connection possible. Network video storage device proposed by Netween Inc. Convenient Netween NVR app allows you to view saved or real time videos locally and remotely. 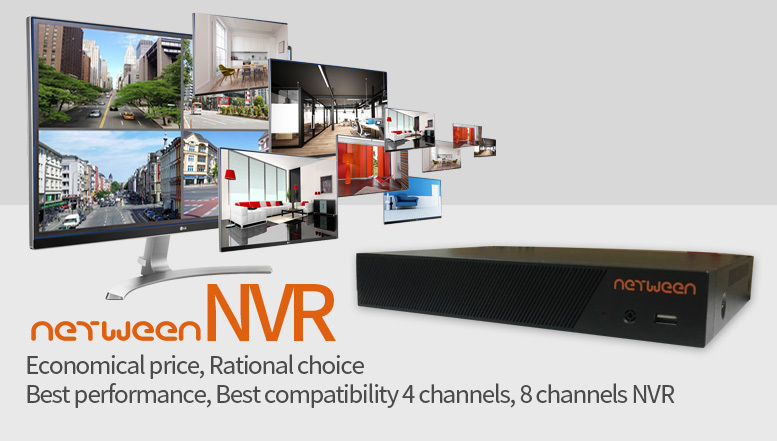 Netween NVR has the effect of using bandwidth effectively by using efficient codec(H.264). Especially, the use of H.264 codec improves the image transmission efficiency and reduces the cost of system construction. Easy to use through exclusive App. Have you been reluctant to purchase expensive equipment from other company and pay monthly rent and maintenance cost? Netween NVR is free to use for a lifetime of a purchase.